When it comes to luxury properties for sale, Mallorca is one of the premier locations around the world – not only for it’s safety, wonderful natural landscapes and near-perfect weather, but also for the number of talented architects and creative designers who have chosen the island as their home and canvas. It’s not surprising then that a recent list of the most expensive properties in Spain featured no less than four homes for sale in Mallorca, including the number one spot! You’ll find a good few properties on this list in the exclusive area of Andratx, and this is no exception: on the market for €19.5 million through Engel & Völkers Mallorca, the price includes 4.4 hectares of land as well as the 5 bedroom villa, built as recently as 2004. The real gem is the massive covered terrace with sea views of Puerto Andratx and swimming pool. 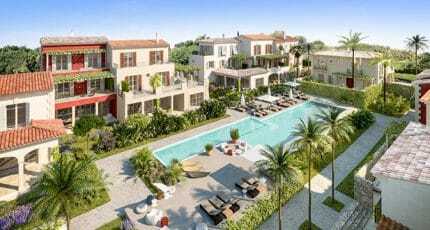 Calling this Calvia villa historic tells just half the story – with roots dating back to 1450, its recent owners completed a full renovation, adding all modern comforts and technologies, and are now selling it for €19.5 million through Engel & Völkers Mallorca. Views of the Serra, stonework walls and Mallorquin-style gardens make this 15-bedroom property as much a house as a trip into the island’s architectural history. Sea-access, 700 square metres of habitable space and one of the most exclusive locations in the Mediterranean, on a private peninsula near La Mola, Port d’Andratx, are just some of the special features this mansion has on offer. On the market for €22 million through Engel & Völkers Mallorca, the property more doubles in size if you consider the sea-view terraces, with the total ground measuring in at 2000 metres squared. A romantic and exclusive villa which, from its high vantage point above the Deià area, gifts views across the Serra de Tramuntana down to the sea and the village itself. 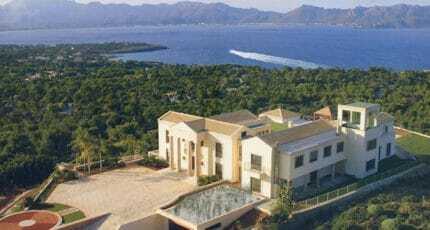 Sold for €23 million through Engel & Völkers Mallorca, the sunrises are worth every penny. Finca for sale in Deià, a truly exceptional residence! This modern but rustic mansion holds perhaps the highest vantage point in Deià – views of mountain sunsets from the infinity pool will leave you speechless. […] Finca for sale in Deià, a truly exceptional residence! With it’s tall ceilings and visible beams, full-length windows and tasteful stone-and-whitewashed walls, this spectacular villa in Valldemossa has all the feel of a genteel estate; as a matter of fact, it is classed as a historical home, dating back to the XVII century. Asking price is €25 million with Engel & Völkers Mallorca, it has all the numbers you’d expect too: 60 bedrooms and 36,000 square metres worth of garden. If €26.5 million seems too much for a 10-bedroom house, consider that you’ll also become the owner of the 10,000 olive trees on this 82 hectare property in the heart of the Serra de Tramuntana. Close to Puigpunyent and sold by Engel & Völkers Mallorca, it was only built in 2000 and features all modern amenities, but the style of the architecture makes it blend seamlessly in the surrounding countryside. Mallorca Gold lists this 10-bedroom house with three swimming pools, spa, library and helipad as going for €29.5 million. We could talk about the luxury Boffi bathrooms or the cutting edge Bulthaupt kitchen, but from its hillside spot in the exclusive neighbourhood of Son Vida, the views of Palma Bay and La Seu Cathedral have taken our breath away. Continuing Mallorca’s streak of historical homes, this mansion halfway between Deià and Valldemossa was bought and decorated by Archduke Luis Salvador of Habsburg in 1867, and dates from even further back. Renovated again in 1990, it is truly palatial, with stunning views of and sea and mountains, its pavillions and stone interiors. Sold by Engel & Völkers Mallorca, asking price €36.5 million. With Castillo Mallorca you are not just purchasing a 7-bedroom home: it’s also a private peninsula near Puerto Andratx, with enough land to build a second villa should the 1180-square-metre mansion not suffice. Finest Properties lists this, one of the most exclusive properties in the Mediterranean, as on sale for €38 million. Surrounded by mountains, beaches and pinewood forests, Cielo De Bonaire is a way of life as much as it is a villa. Built as recently as 2005 in one of the most prestigious spots on Mallorca, near Port d’Alcudia, it features 9 bedrooms, 12 bathrooms, home cinema and all amenities you could wish for, as well as 1.4 hectares of stunning Mediterranean landscape. It’s valued at over €50 million, but for the precise price you’ll need to get in touch with Engel & Völkers Mallorca. There are plenty more luxury villas dotted around the island to cater for all tastes and budgets too – Mallorca is truly blessed with the quality of its properties, designers and architects. These are just the top ten most expensive right now but keep track developments, as there are likely more exclusive properties to come! We hope you have found this article about the The 10 most expensive villas for sale on Mallorca useful and that you have many memorable stays in Mallorca as a result of our recommendations.